Dear wonderful people at Wedding City Antalya, You are the best! Thank you for everything you have done to make this day special for us. Thank you for all your hard work, dedication and support. 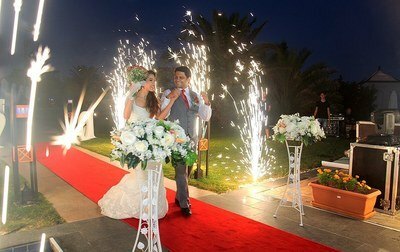 Thank you Wedding City Antalya for makeing my wedding day amazing. We have had an unforgettable wedding. We are very very happy to met you. Many many thanks. Thank you so much to all of the team. We had a fantastic wedding day! Everything was beautiful and all our wishes were taken care of Could not have asked for more. Would highly recommend! Thank you very much Wedding City Antalya Team. We had the most amazing day and we Couldn't wished for more. Our decision to get married in turkey after 18 years is best thing I have experienced. You have made us a proud and happy couple. 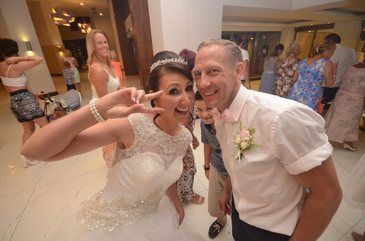 My husband and I would like to say a very BIG Thank You to Wedding City Antalya. They made every part of our wedding special. We first got in touch with them 1 year before our wedding date. The communication was via email and we always received an email within 24 hrs which I feel is extremely fast and so professional. We feel we could not of got a better service if we had got married back in the UK. 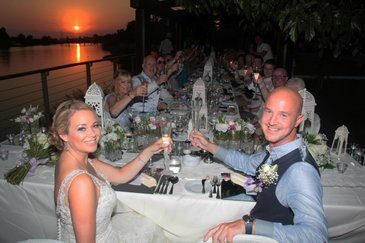 We would highly recommend anyone wanting to get married in Turkey to contact Gulseren and Her fantastic team. We really cannot express how lucky we feel to have had such a great team to make our special day perfect. We just got back to the United States last week, so we are just trying to adjust back to "real life". We wanted to THANK YOU for a very nice wedding. It was very special and will always be memorable. We pretty much had it all, the doves, the horses, the newspapers, TV, etc. We loved Turkey. It was a beautiful country and hopefully one day we will be back.